North Korean leader Kim Jong-Il told Chinese President Hu Jintao in talks this week in Beijing that he remained committed to ending his country's nuclear drive, Chinese state media said Friday. Kim also told Hu that his country would "work with China to create favourable conditions" for restarting six-nation talks hosted by Beijing on dismantling the Pyongyang's nuclear programmes, Xinhua news agency said. But the report gave no indication when those talks could resume. The declaration by reclusive leader Kim comes after North Korea's state media confirmed that he had visited China this week at the invitation of China's President Hu Jintao. 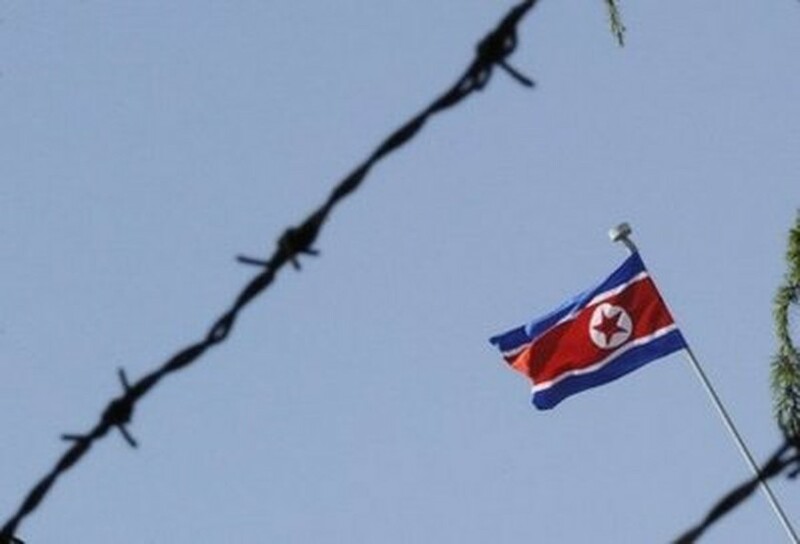 The North Korean flag flies over its embassy in Beijing on May 6. Kim Jong-Il has told Chinese President Hu Jintao in talks this week in Beijing that he remained committed to ending his country's nuclear drive, Chinese state media has said. The Korean Central News Agency report described the visit as "unofficial" but made no mention of any meeting between Hu and Kim. South Korean media have said the two leaders met Wednesday in Beijing. The agency confirmed that during his Monday-Friday trip the 68-year-old leader visited the northeastern port cities of Dalian and Tianjin but did not mention any visit to Beijing. "Kim Jong-Il expressed satisfaction over the result of his visit and extended heartfelt thanks to the leading cadres of the Chinese party and government for their cordial hospitality," it said. China is North Korea's economic lifeline, supplying the bulk of its food and fuel needs. Kim had been expected to seek aid for his country's faltering economy during the visit, but no mention was made of any agreements.